My favorite pie is 100% the sour cream apple pie from High Hill Ranch up in Placerville’s Apple Hill. It is served cold, and it is my favorite Apple Hill treat. Since I had leftover sour cream from my turkey chili, I took a stab at making my own sour cream apple pie. Disclaimer: the last time I made a pie from scratch by myself, I was twelve. I researched a bunch of recipes and ended up freehanding the filling. For the crust, I followed this New York Times’ crust recipe. 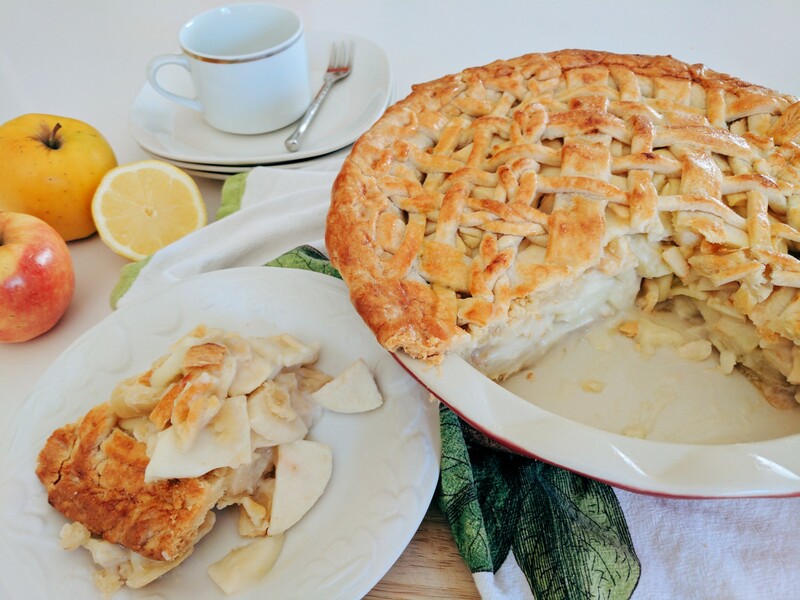 Though the Apple Hill pie uses a crumble topping, I wanted to make a lattice crust on top. A buttery, flaky, crust. 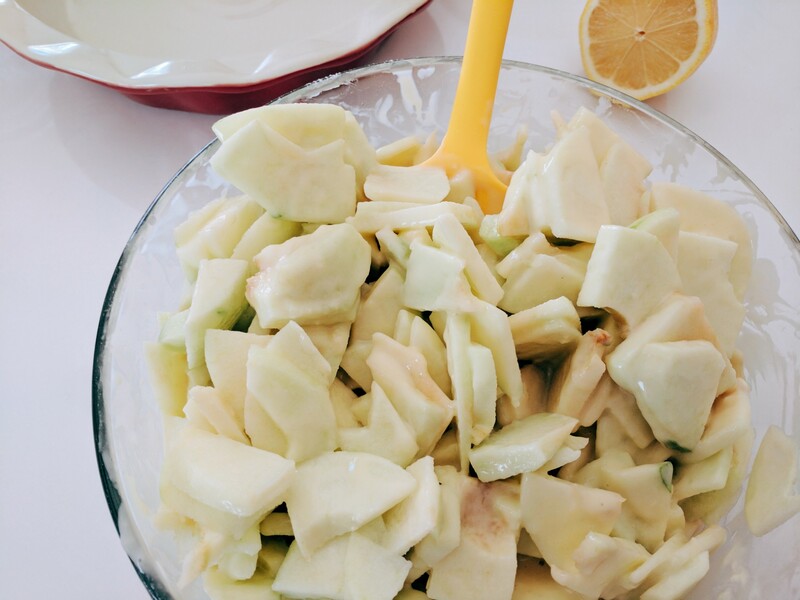 For the filling, I peeled and sliced five Granny Smith apples, and coated them in lemon juice to prevent browning. 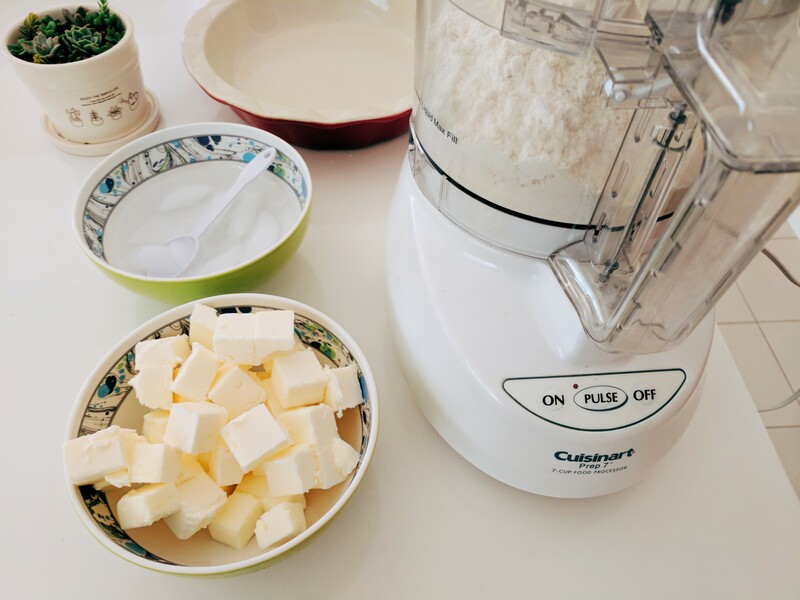 Then, I whisked together 1 cup of sour cream, 2 eggs, 1/4 cup of flour, 3/4 cup of sugar, and a splash of vanilla extract. I tossed the apples in the sour cream mixture, and drained the excess. After the pie crust dough chilled in the fridge for an hour, I rolled the bottom crust into a 9 inch pie plate. 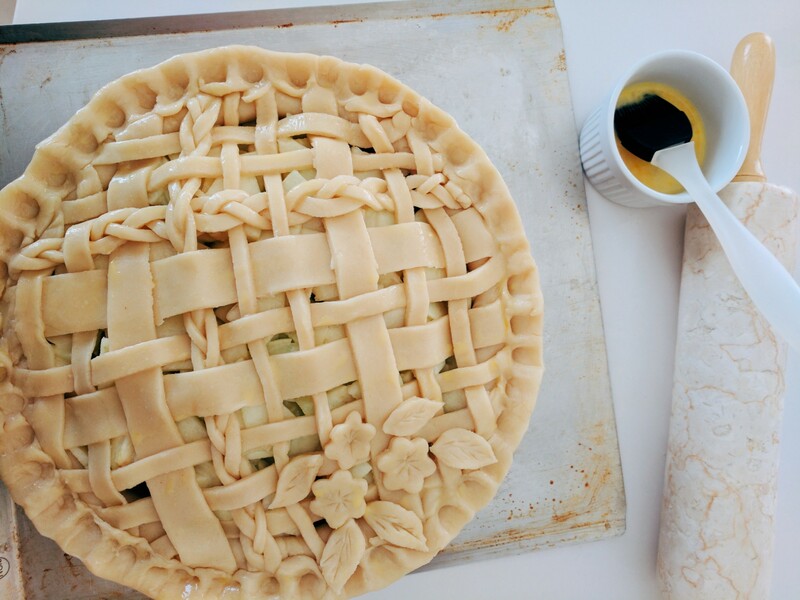 I filled the crust with the apples, and criss crossed thin and thick strips of dough to make the lattice. I also threw in some braids and flowers because I’m a really interesting person. I brushed the top with egg wash and sprinkled sugar on top. I baked the pie for 10 minutes at 400°F, and then lowered the temperature to 375° and baked it for another 40 minutes. 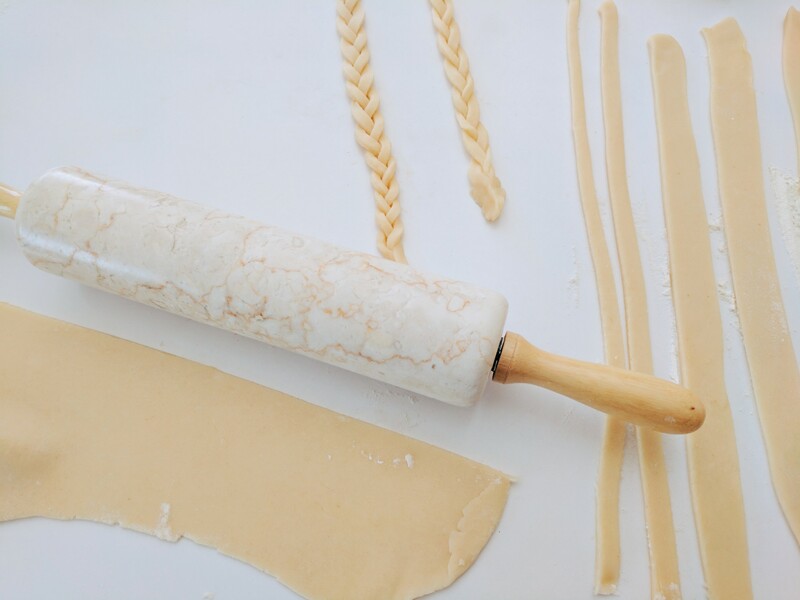 Somewhere in the 40 minutes, I brushed the top with more egg wash and sugar. I also covered the edge of the crust with foil to prevent it from browning too much. I am so dang impatient, I opened the oven door at least 10 times, which is always a bad idea when baking since the heat escapes every time. As you can see from the picture, the pie is a soggy mess when served hot. Even when it cooled, the bottom crust was a little soggy, but the top was flaky and crisp. Overall the pie was too tart for my liking. Maybe I’ll try making a pie in another 12 years. For now, I’ll leave it to Apple Hill. Edit: It is so much sweeter after chilling in the fridge for an hour. For not having made a pie since you were twelve, your lattice work is impeccable. This is impressive! I can’t wait when you open a store. You so should!